Careers South West Ltd is committed to safeguarding and promoting the welfare of children, young people and vulnerable adults and expects all employees and volunteers to share this commitment. It is also committed to the provision of independent information, advice and guidance to help individuals engage in learning and work. Careers South West Ltd is the leading provider of Information, Advice and Guidance (IAG) services in Cornwall, Devon and Somerset and is one of the region’s top performing companies with a strong reputation for pursuing excellence and quality as well as providing value for money. The Company is wholly owned and controlled by four local authorities: Cornwall Council, Devon County Council, Plymouth City Council and Torbay Council. > Managing a variety of contracts across the whole of the South West region which support both young people and adults’ transition between education, training and work. 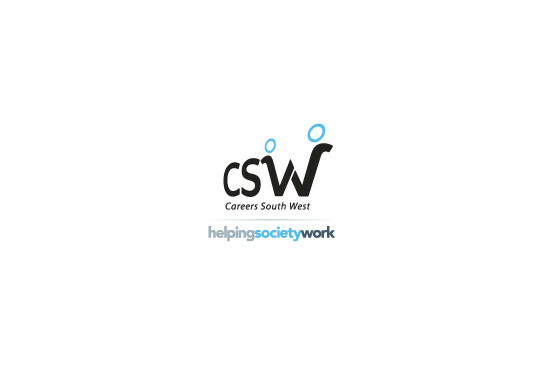 Careers South West provides independent and impartial information, advice, guidance and practical help for those aged 13-19. In certain circumstances we also help those with learning difficulties and/or disabilities up to the age of 25. We also provide skills support for unemployed people aged 19+, who are on Benefits and are looking for work but have barriers to overcome. This ESF contract covers all of Devon, Dorset, Somerset, Plymouth and Torbay. CSW have qualified, professional advisers working in locations across Cornwall, Plymouth, Torbay, Devon and Somerset. Advisers help young people find up-to-date information about careers, jobs, education courses, volunteering, training opportunities and other personal support so that they see all the options open to them. Annually we support over 140,000 young people to make informed decisions about their future. We provide skills support for unemployed people aged 19+, who are on Benefits and are looking for work but have barriers to overcome. This ESF contract covers all of Devon, Dorset, Somerset, Plymouth and Torbay.